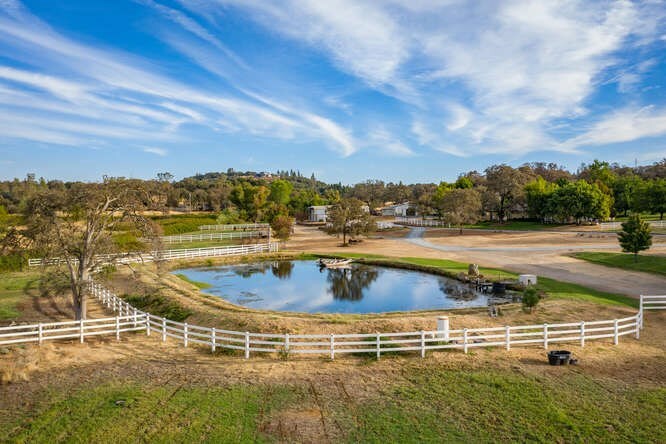 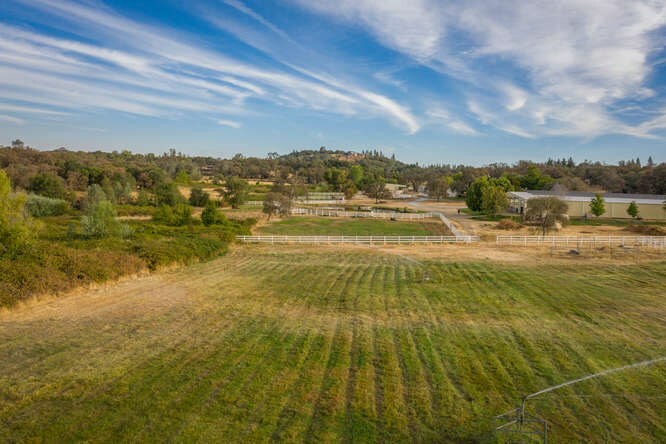 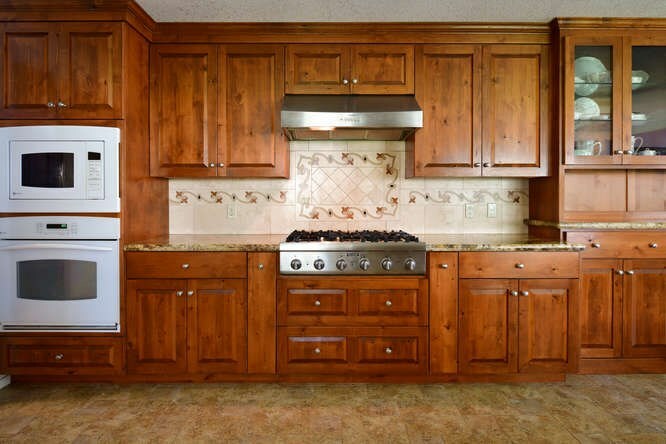 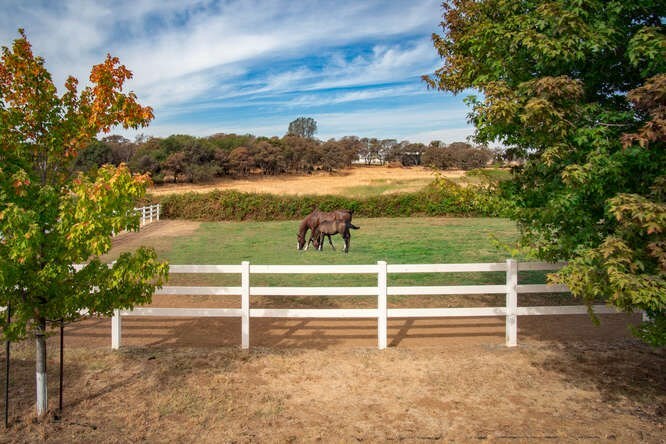 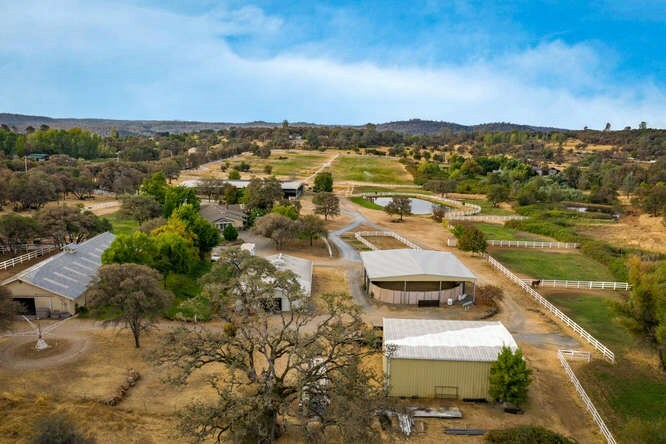 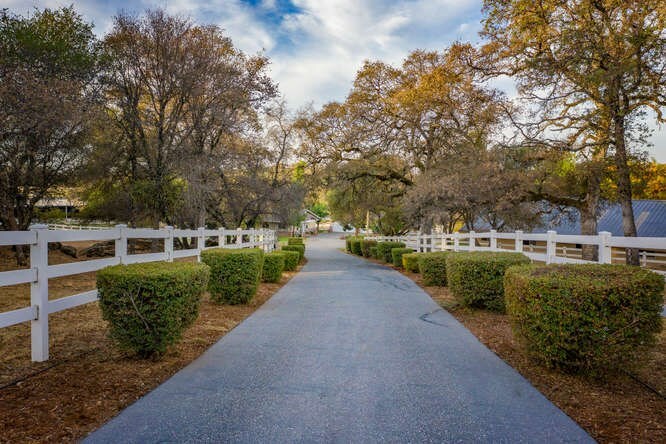 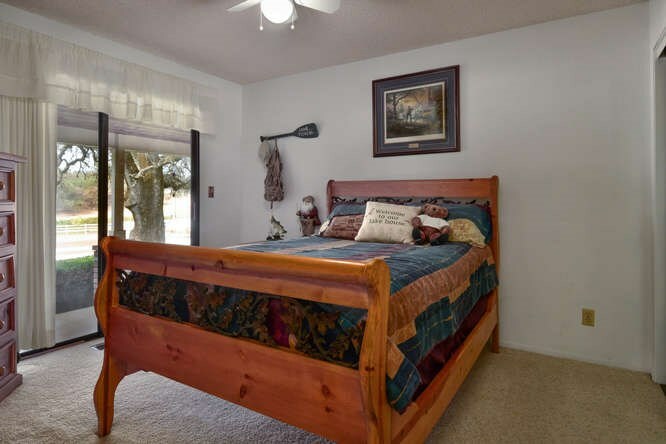 Equestrian Horse Property for sale is located below the snowline, between Grass Valley and Auburn, California. 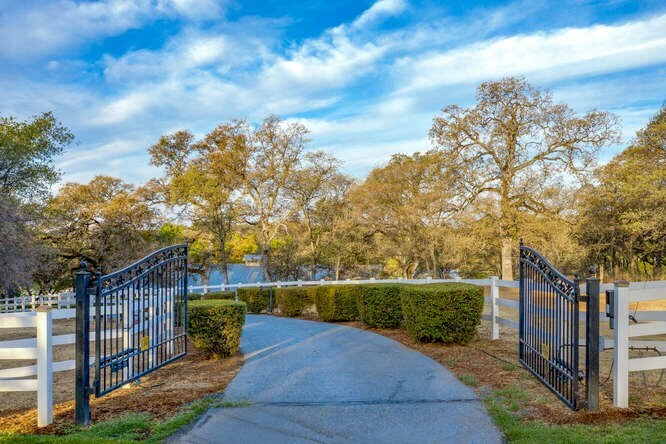 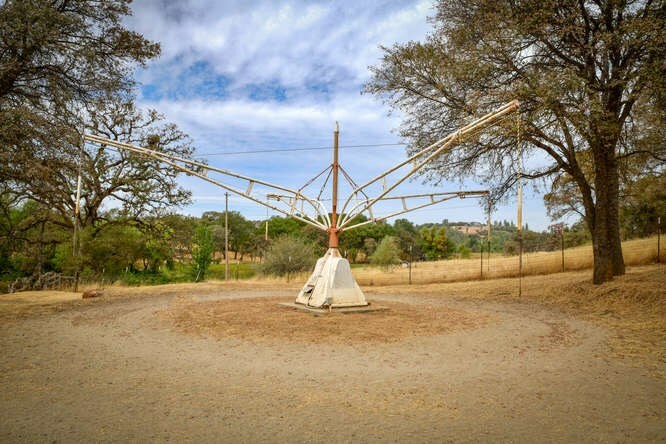 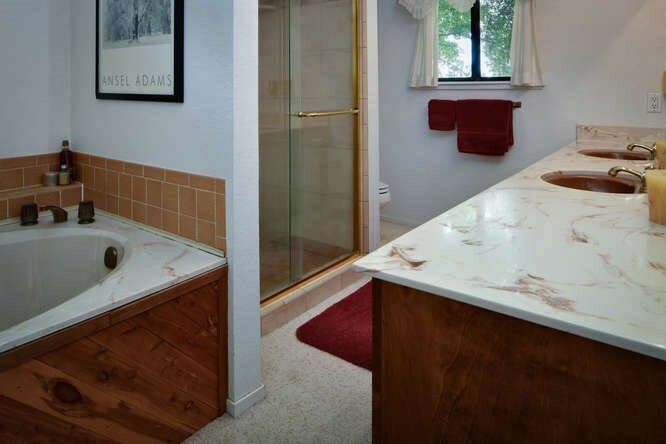 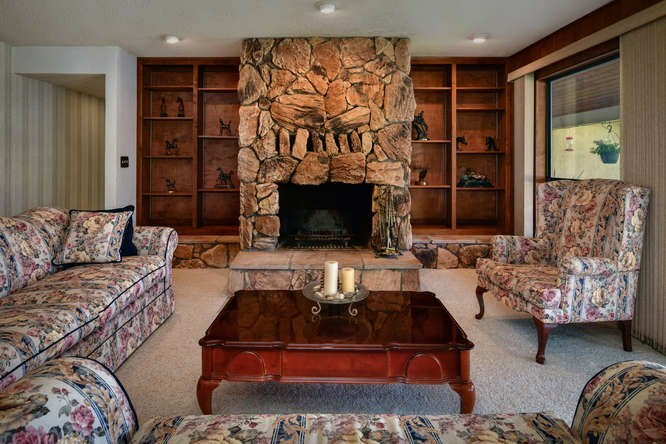 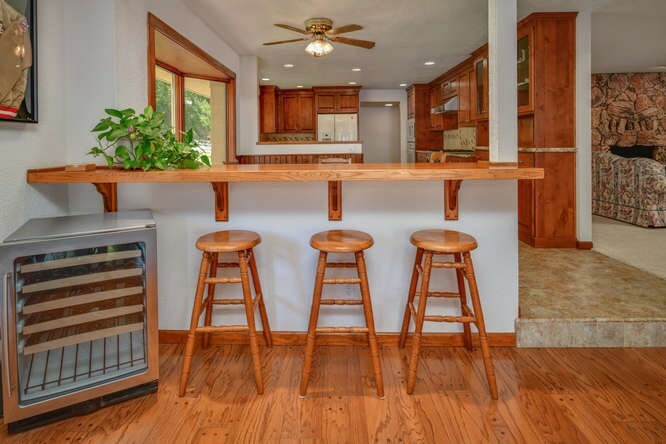 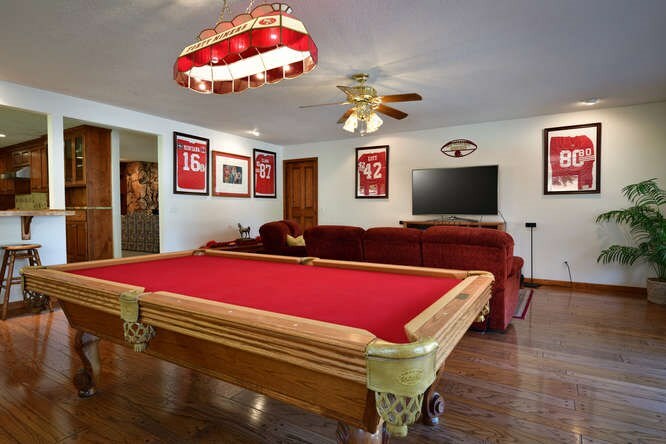 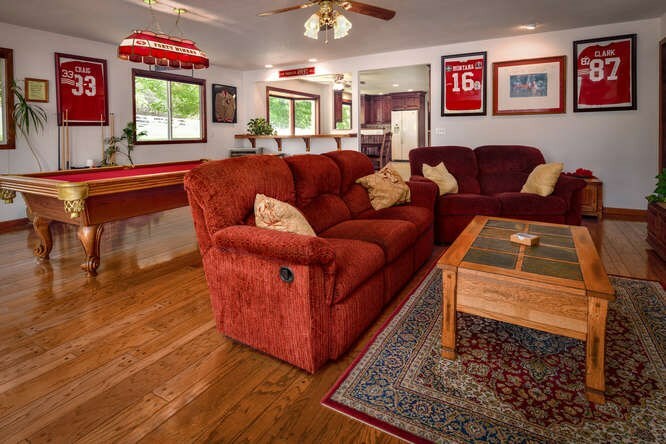 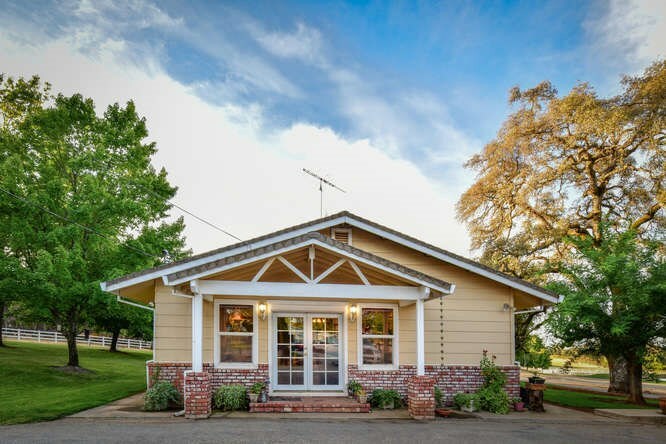 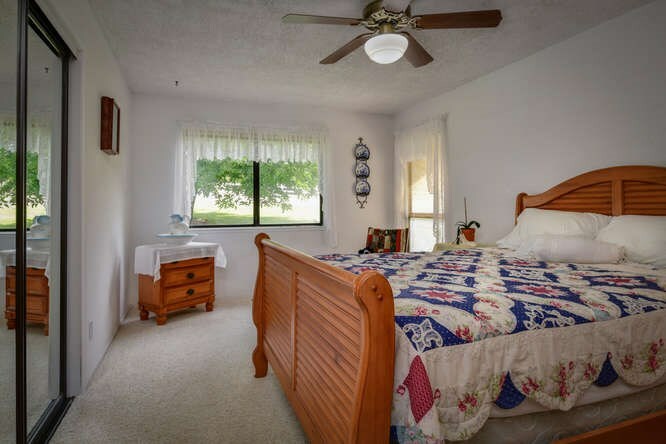 Situated on 17+ level acres up the road from Grass Valley’s popular vineyard, Naggiar Vineyard and Winery. 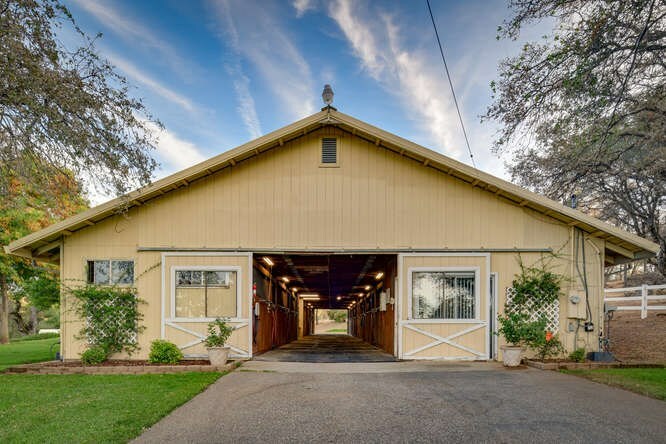 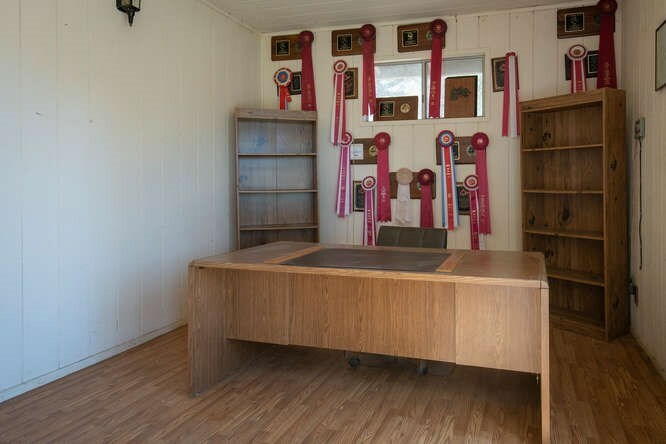 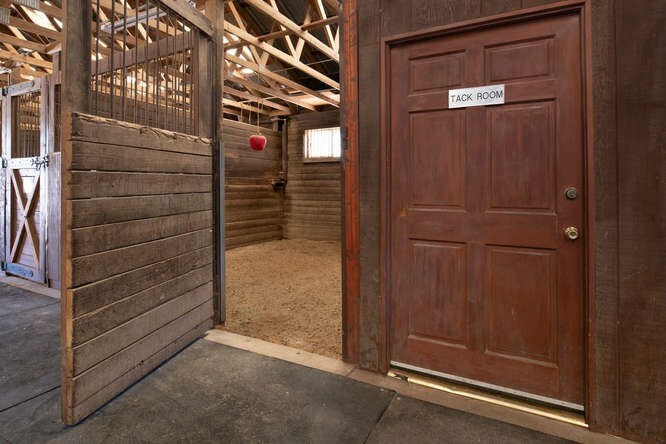 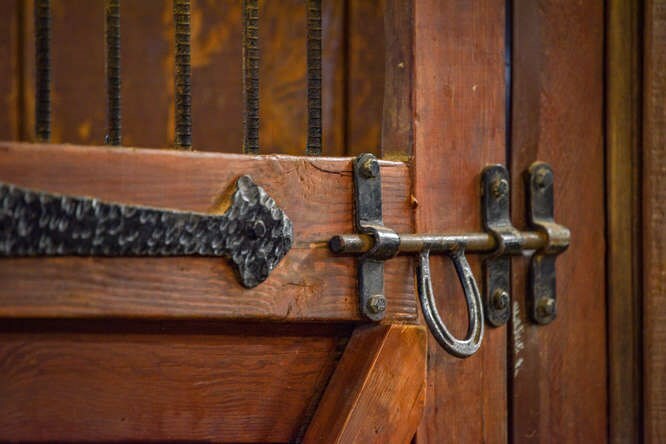 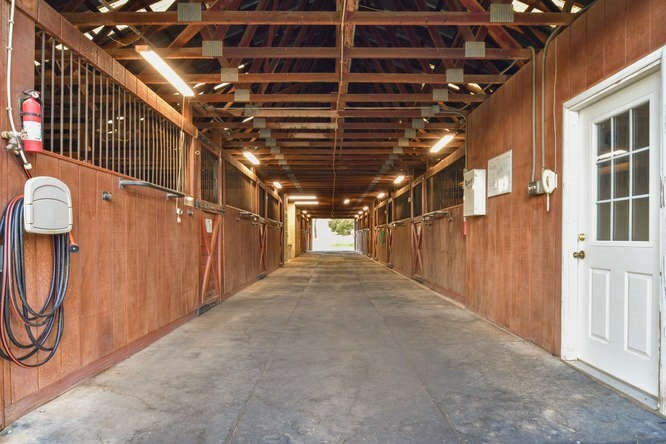 This first class horse training facility boasts two barns, 22 stalls with offices, tack rooms, wash rack and workshop. 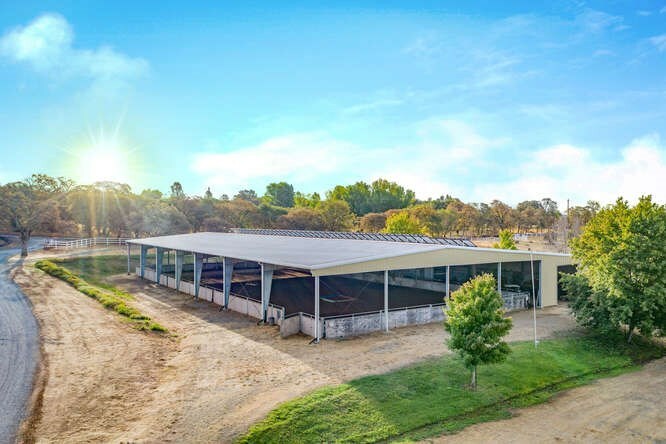 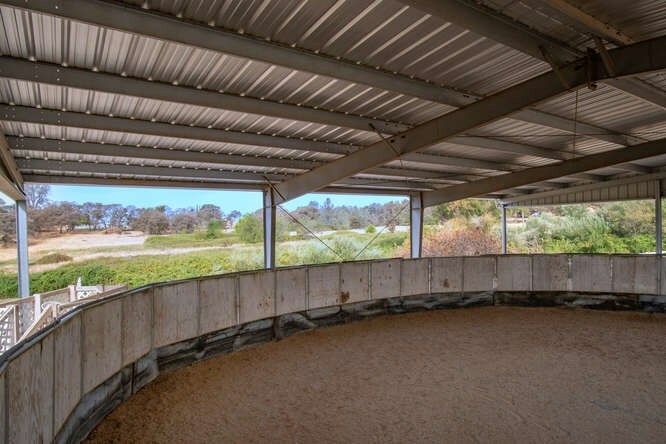 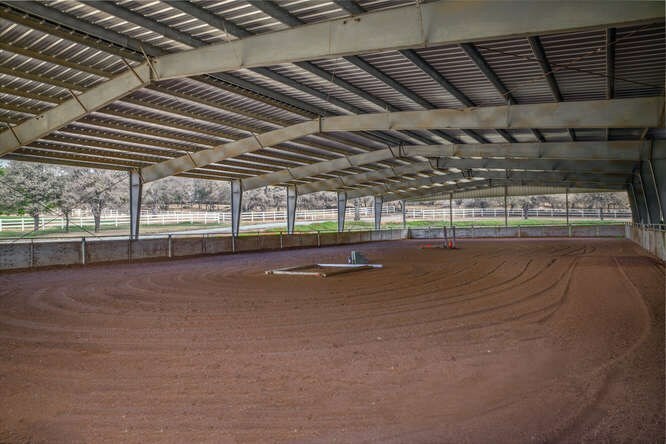 The covered arena, covered round pen, hotwalker and presentation ring offers professional horse trainers and equestrian riders ample room and equipment for horse boarding and horse training. 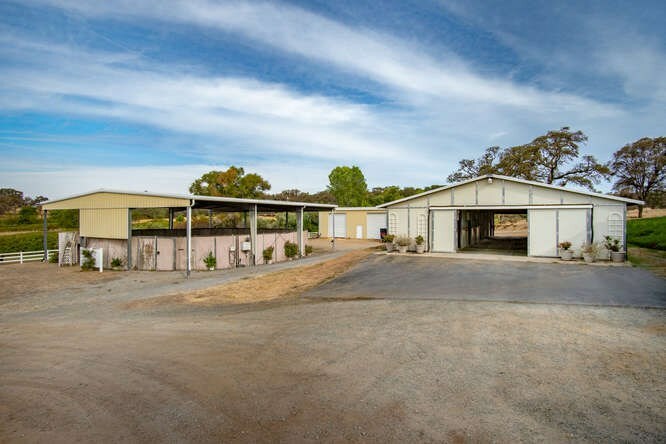 There is a shop area for RV-recreational vehicle | boat parking or hay | shavings storage. 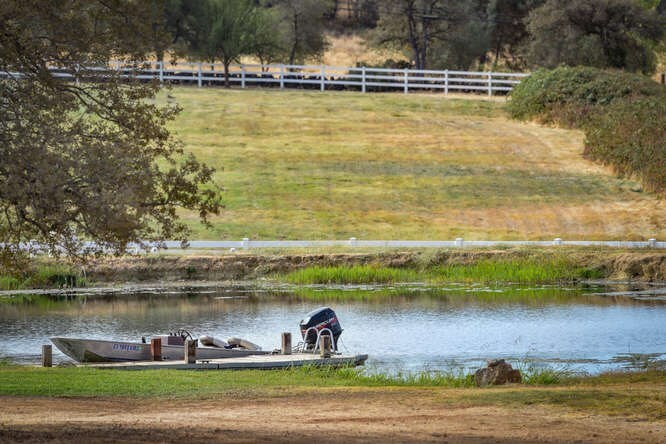 The irrigated pastures have vinyl fencing and vinyl cross fencing and the year round pond has a dock, perfect for relaxing and fishing. 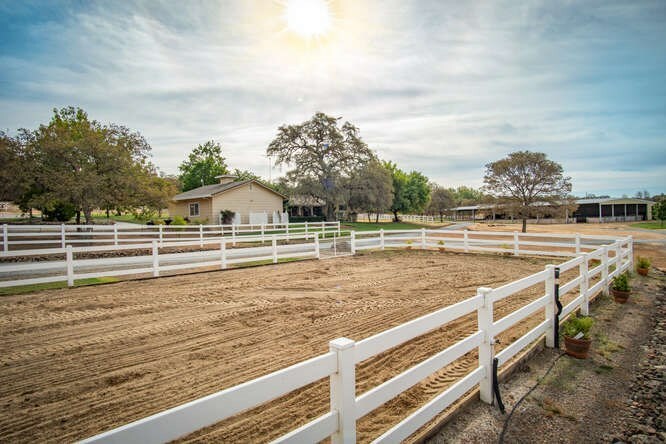 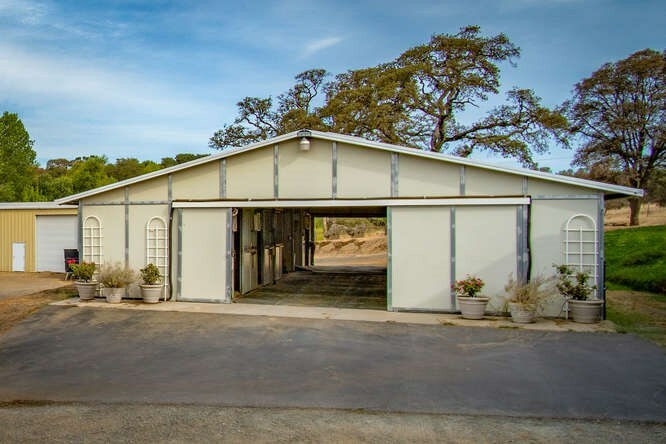 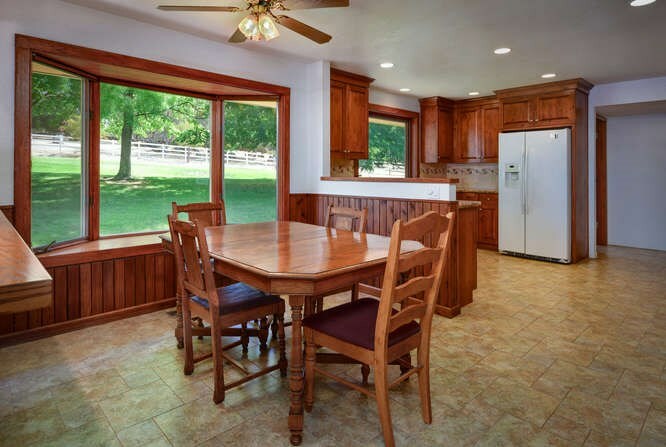 This horse property is zoned for agriculture offering the buyer perfect exposure for vineyard growing conditions. 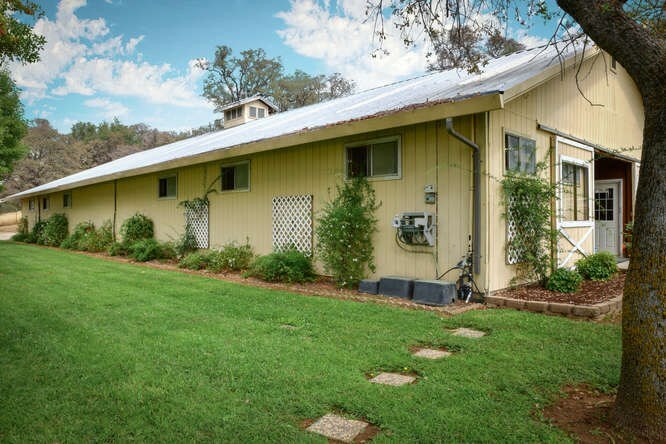 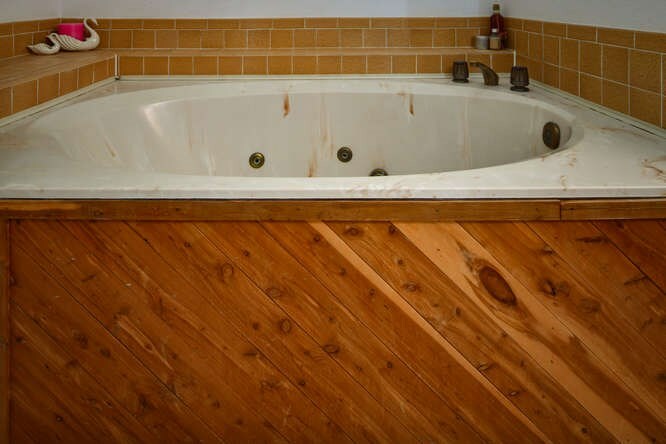 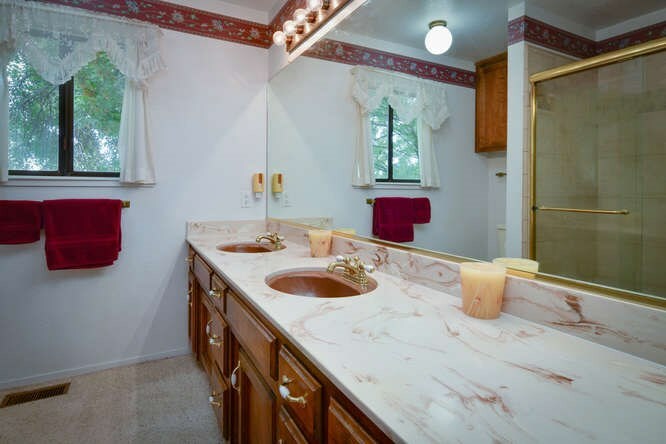 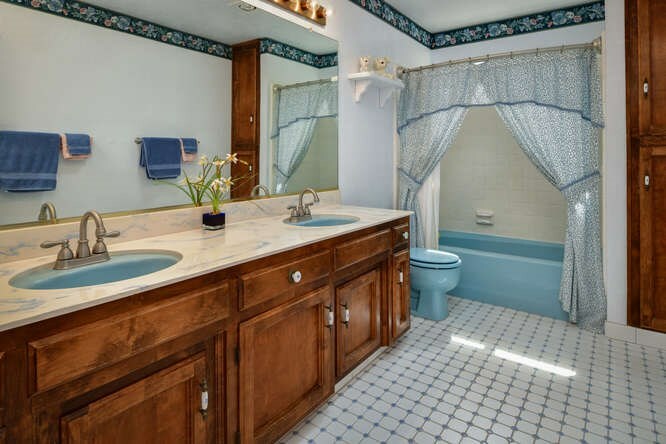 This rural property is totally run on solar power with backup public utilities. 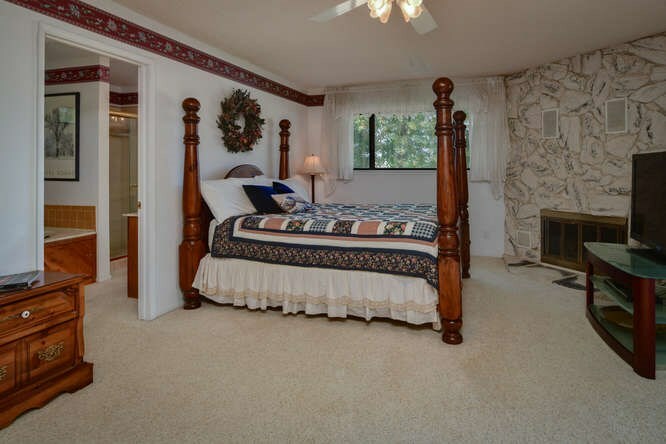 The main home is 2501 Sq Ft. 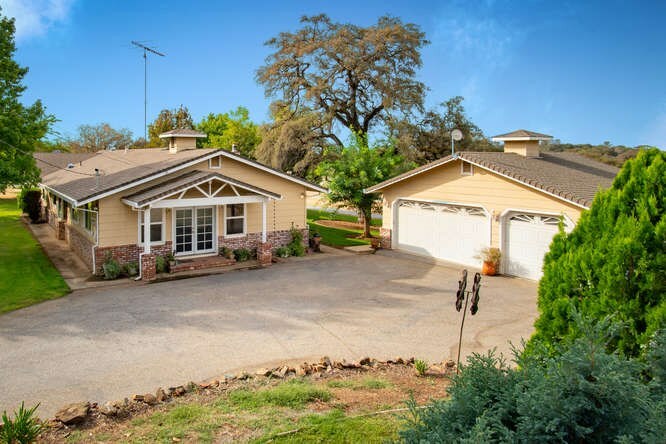 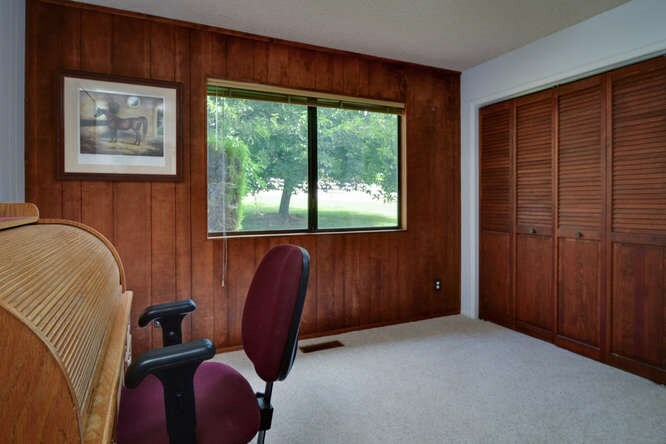 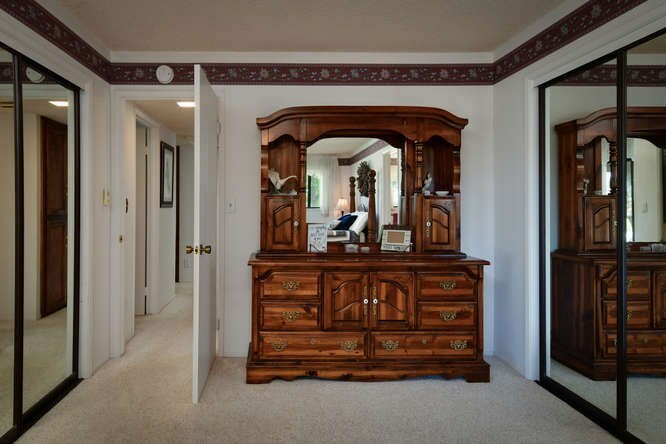 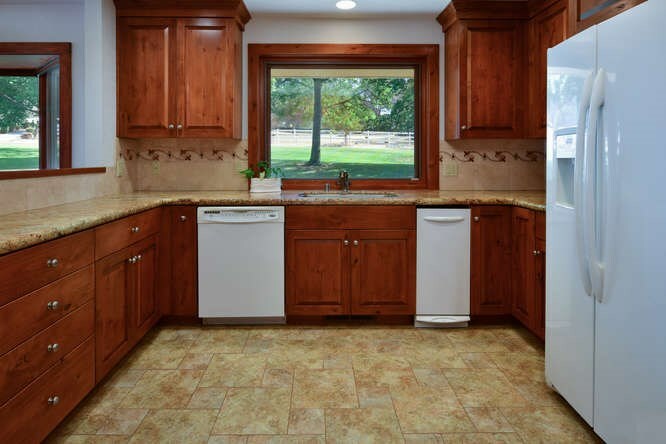 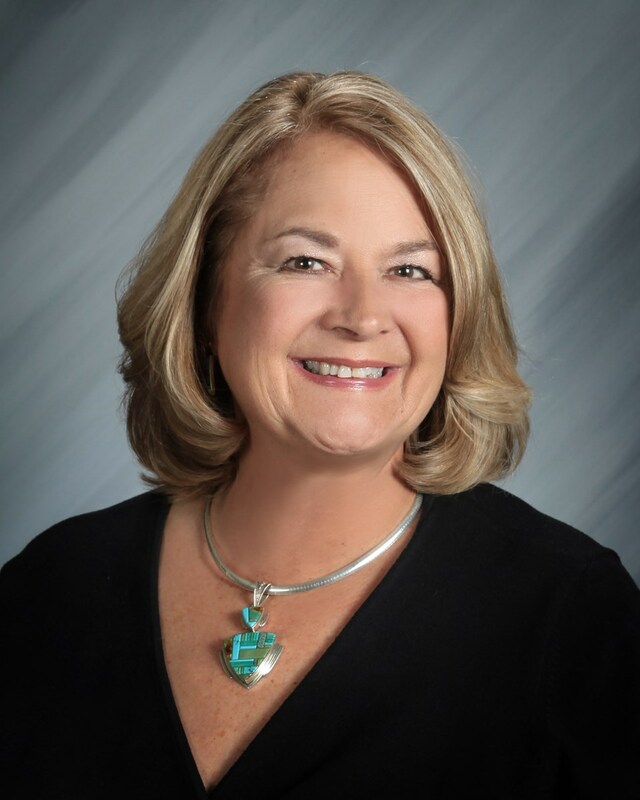 It is single level, 3 bedroom, 2.5 bath with an updated gourmet kitchen, two fireplaces, formal dining room, media room, family room and a detached 3 car garage.